Cover Love includes a cover, blurb, buy links, and social media contacts for the author. Today’s featured book is The Chieftain’s Bride by Kate Hill. Marion of Ravenhill was a pawn in a warrior’s world, promised to the Viking raider, Wyborn, for his fierce protection of the British shoreline. She vowed he would never have her heart, but from the moment they meet, the attraction between them is nearly overwhelming. Cover Love is a short intro to a book and includes a cover, blurb, buy links, and social media contacts for the author. 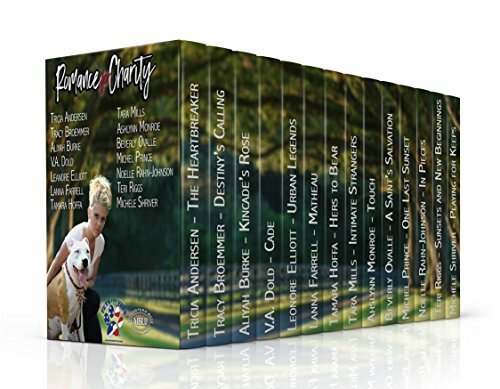 Today’s featured book is Romance for Charity – Pets for Vets. Beverly Ovalle lives in Wisconsin with her husband Edmond of 25 years and two Chinese Water Dragons. Her son Nicholas visits when he is on leave from the Marines. Her daughter Susannah visits from time to time to make sure the ‘old’ folks are alive and kicking.